The Carleton Ravens will return to Ottawa today with the Bronze Baby trophy. 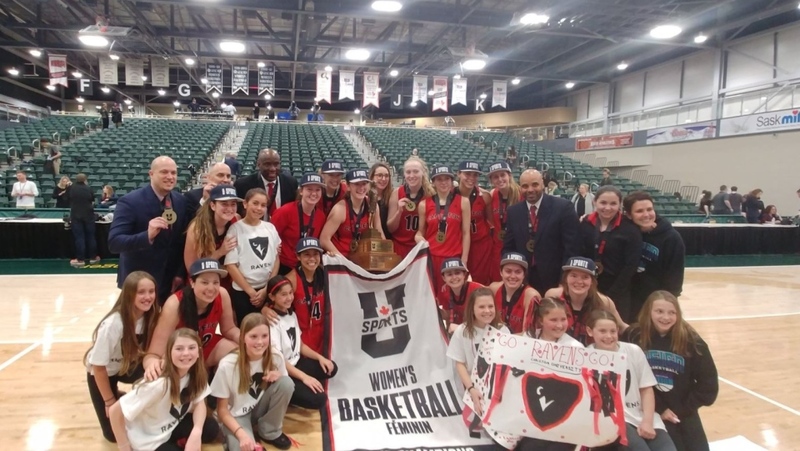 The Ravens women’s basketball team won its first U SPORTS national championship on Sunday, beating the University of Saskatchewan 69-48. Carleton finished the regular season undefeated, going 23-0. Ravens coach Taffe Charles told usports.ca “it’s been a lot of hard work and I’m just relieved we were able to get it done. Catherine Traer led the Ravens with 21 points and 10 rebounds in the championship game. The Ravens men’s team had its streak of seven straight U SPORTS national titles end this weekend in Halifax. Carleton lost to Ryerson University in the semi-final on Saturday, but won the bronze medal on Sunday in a win over McGill.